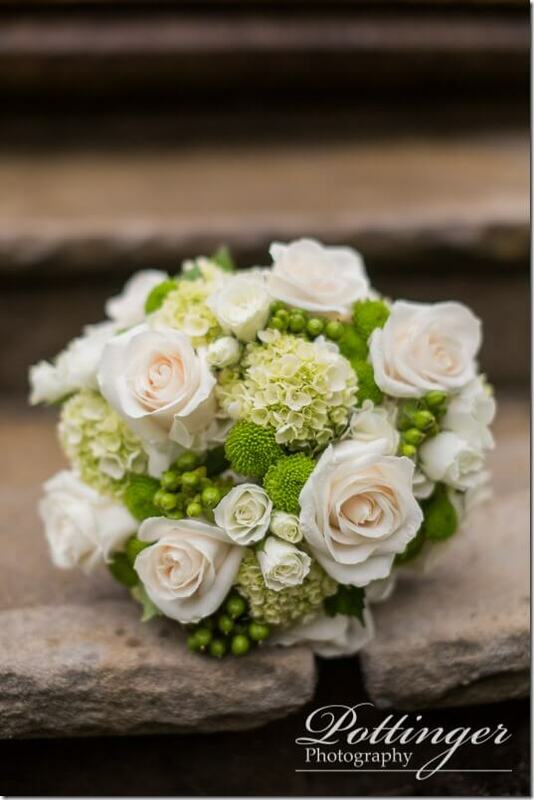 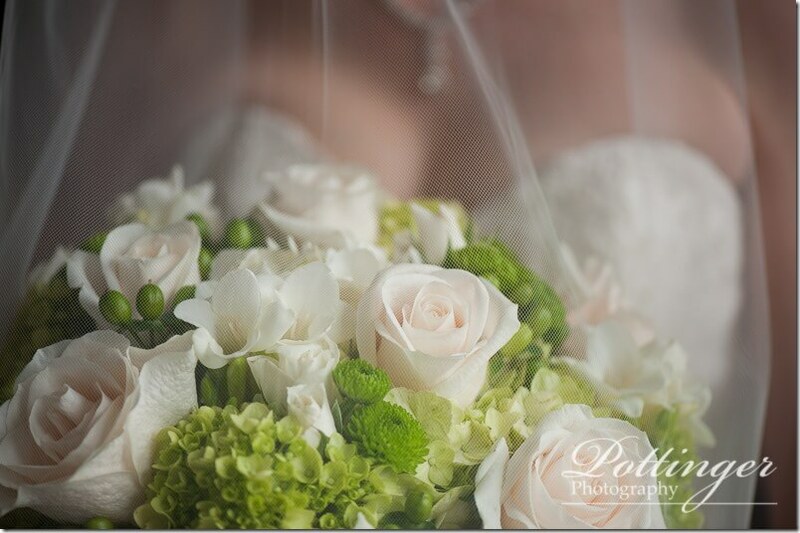 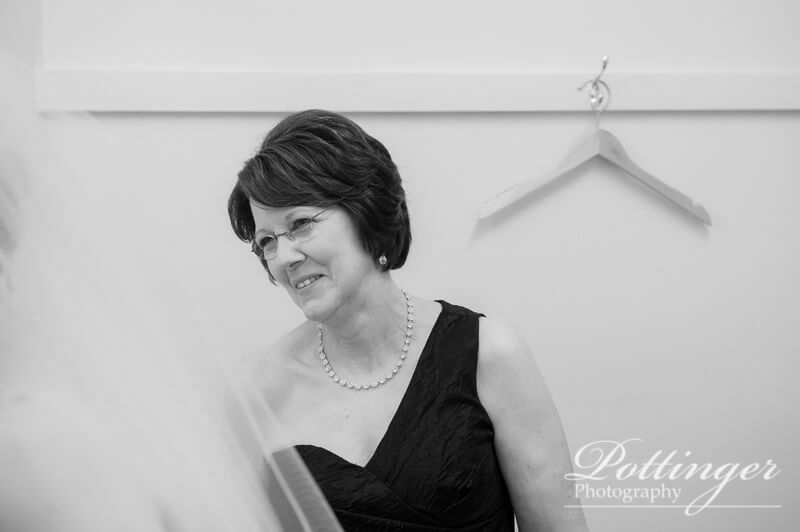 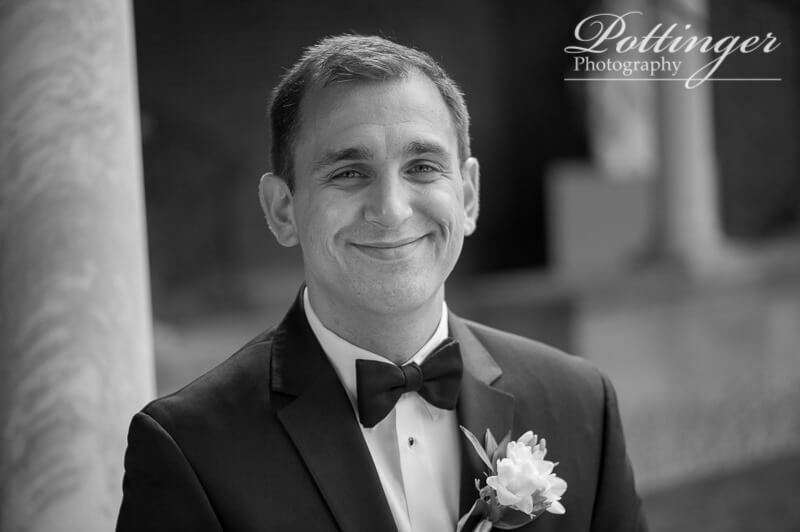 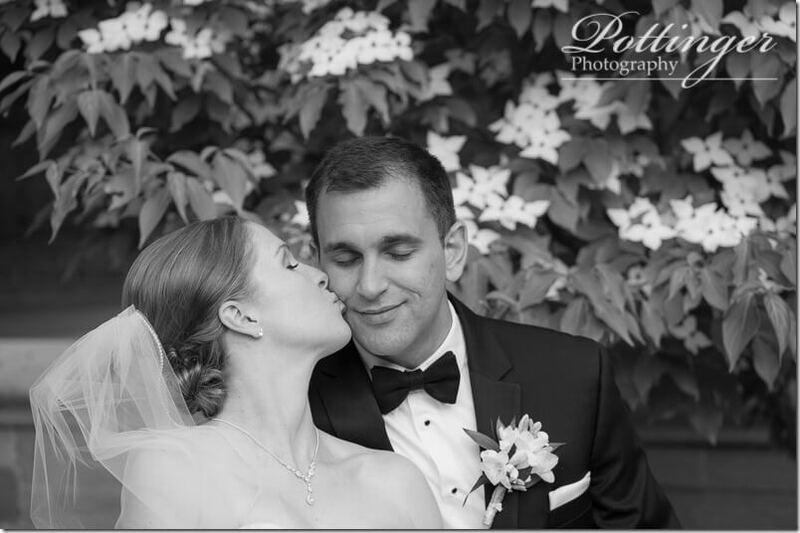 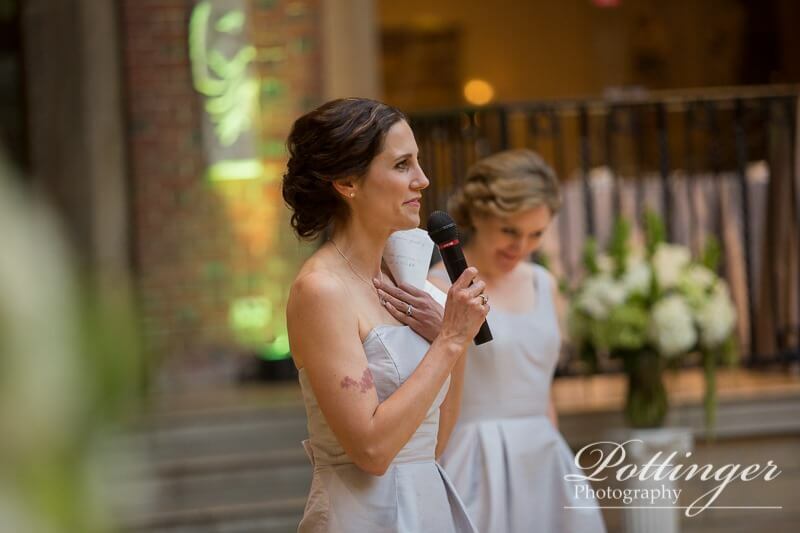 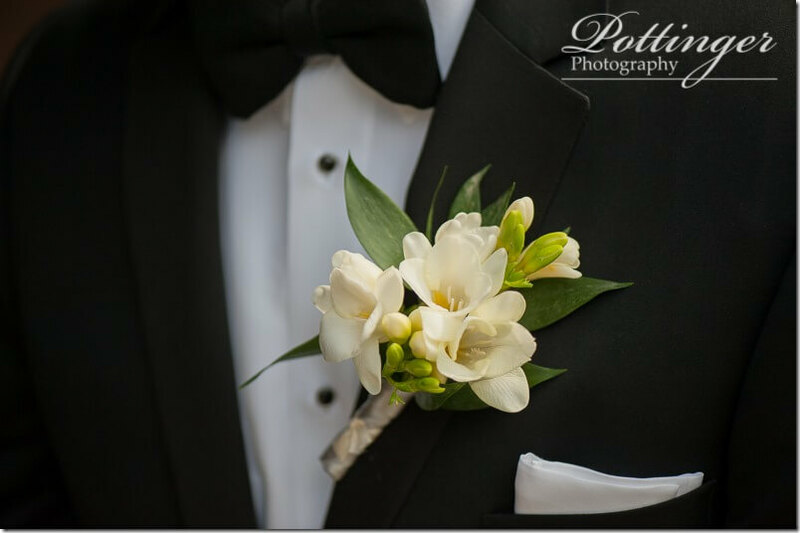 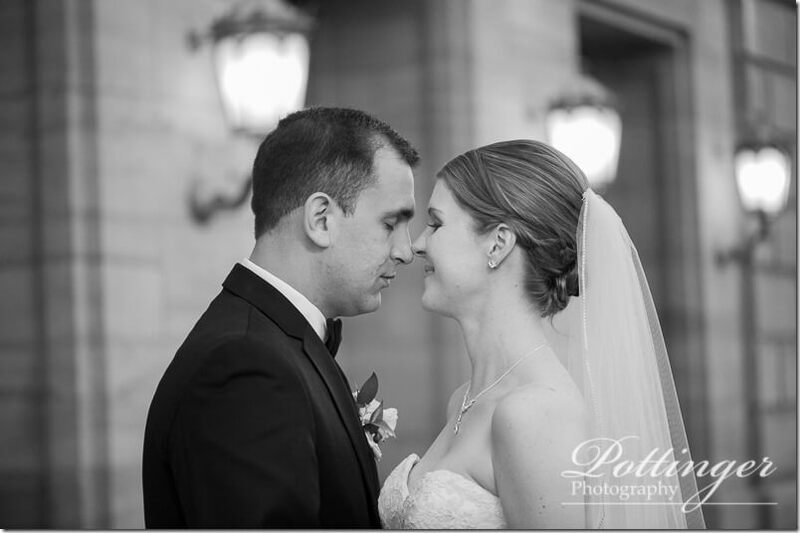 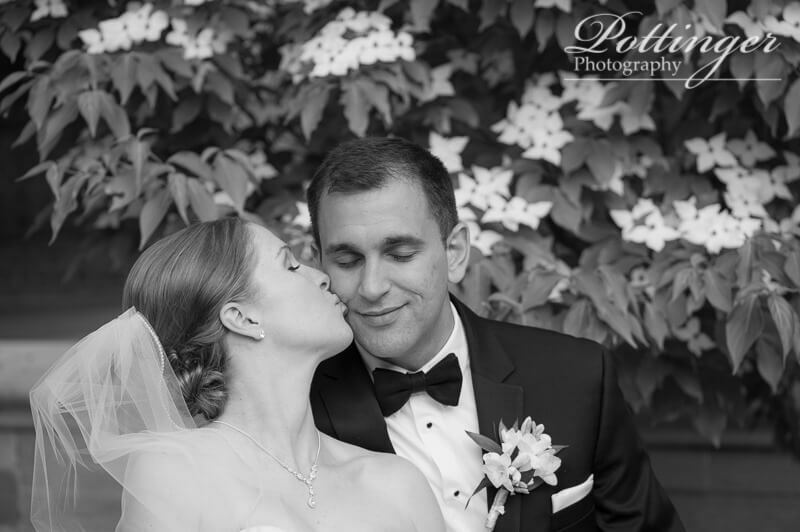 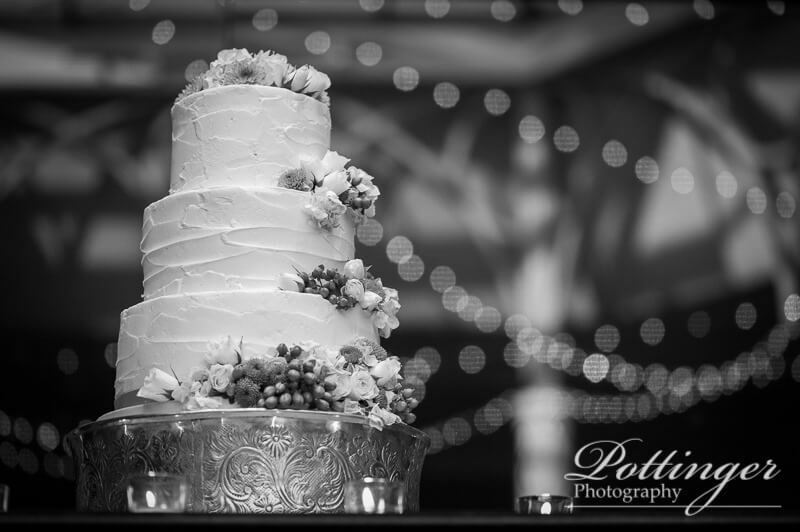 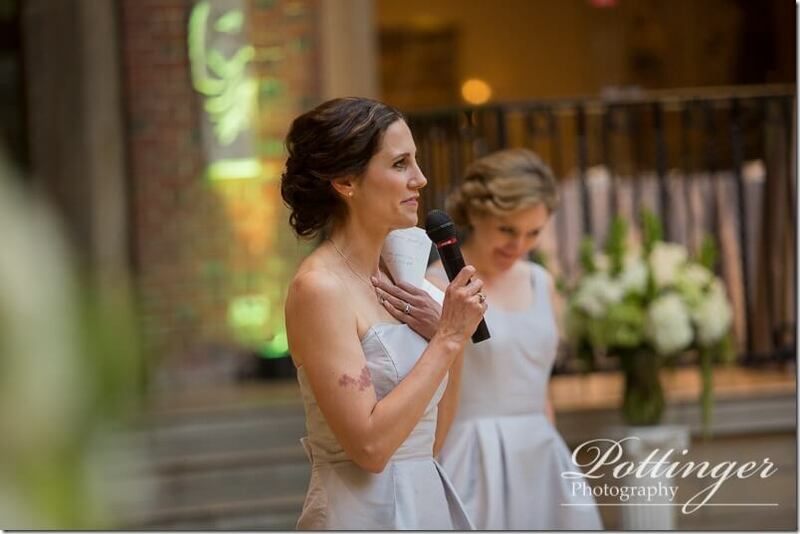 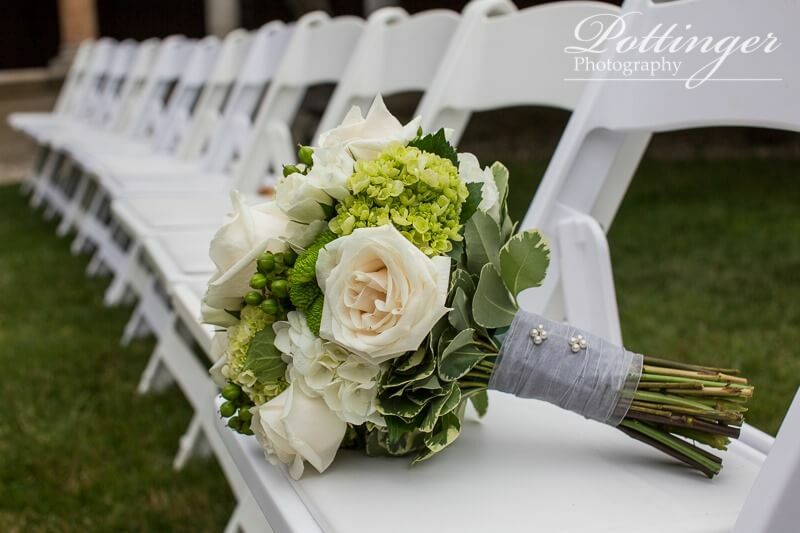 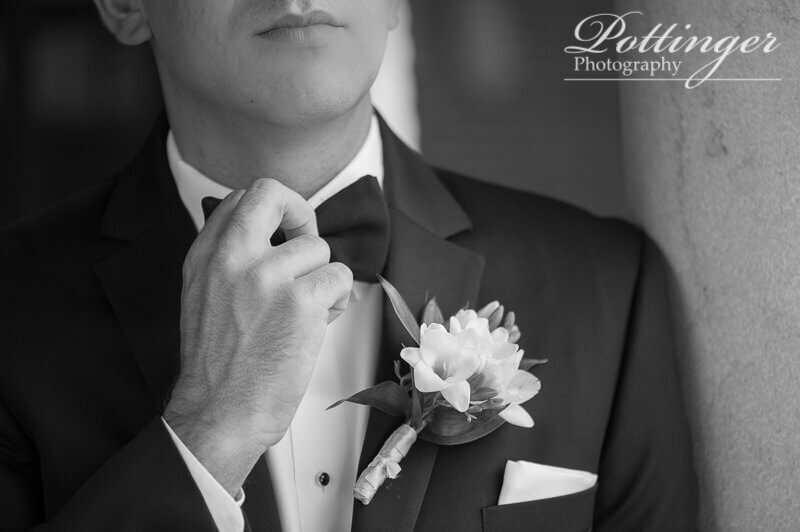 Posted on Friday, June 12th, 2015, by Brenda Pottinger under Weddings. 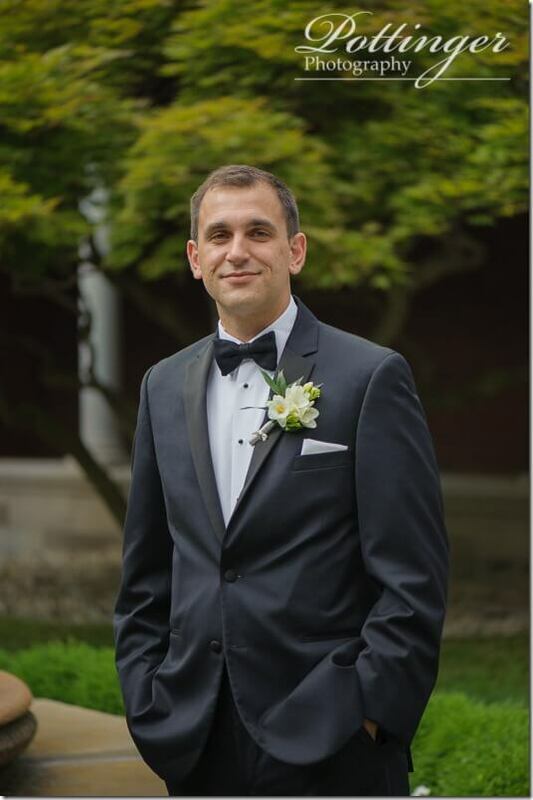 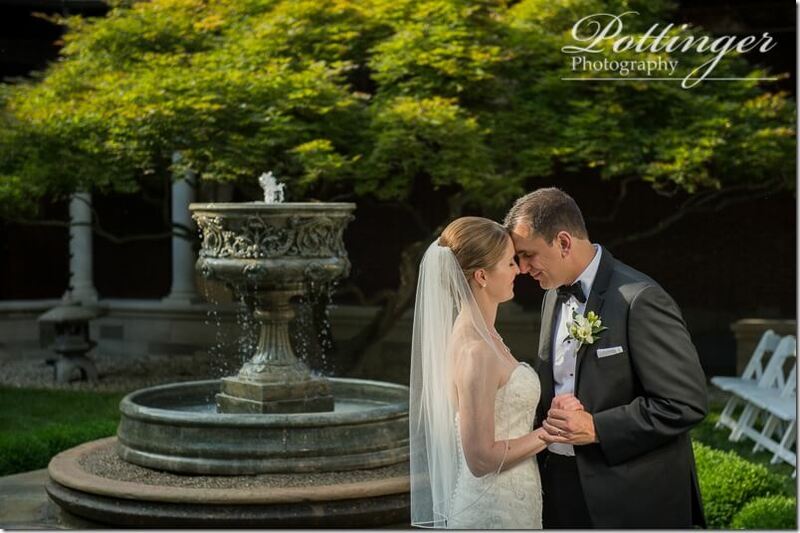 Last Saturday was the perfect day for a wedding! 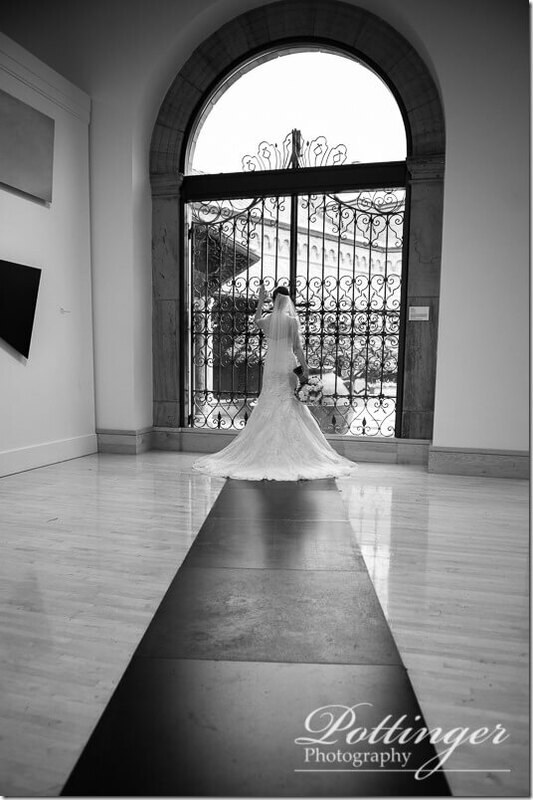 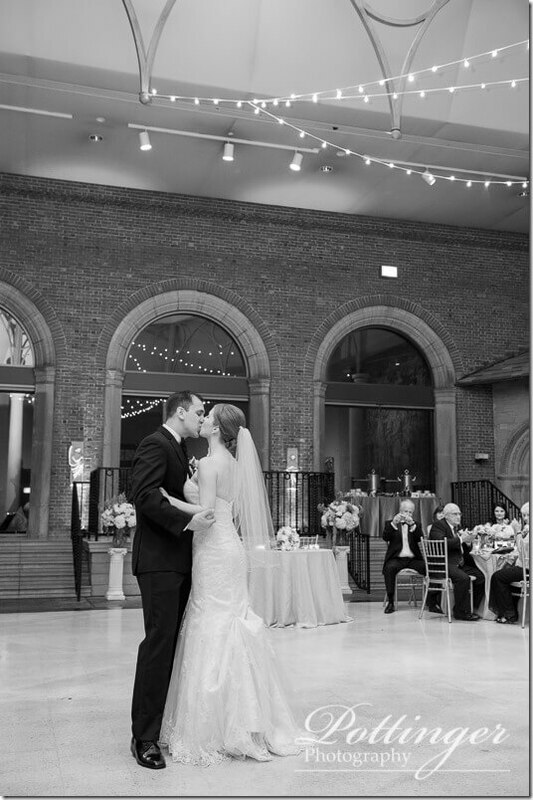 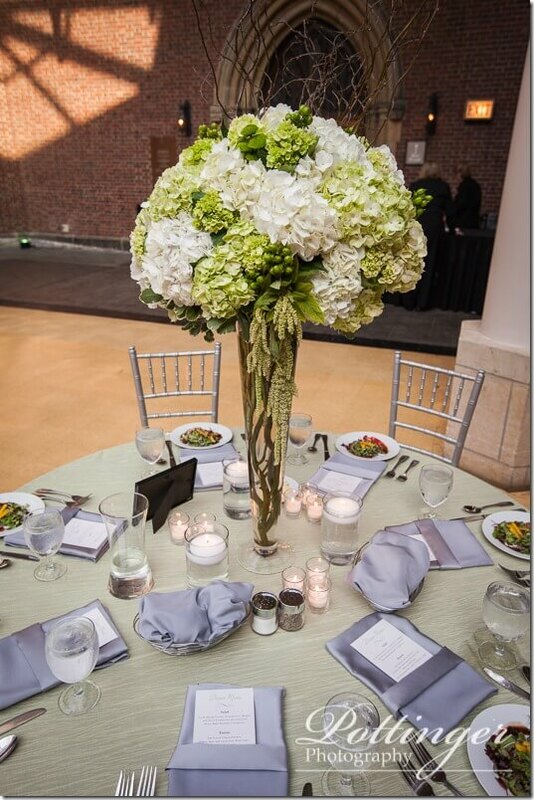 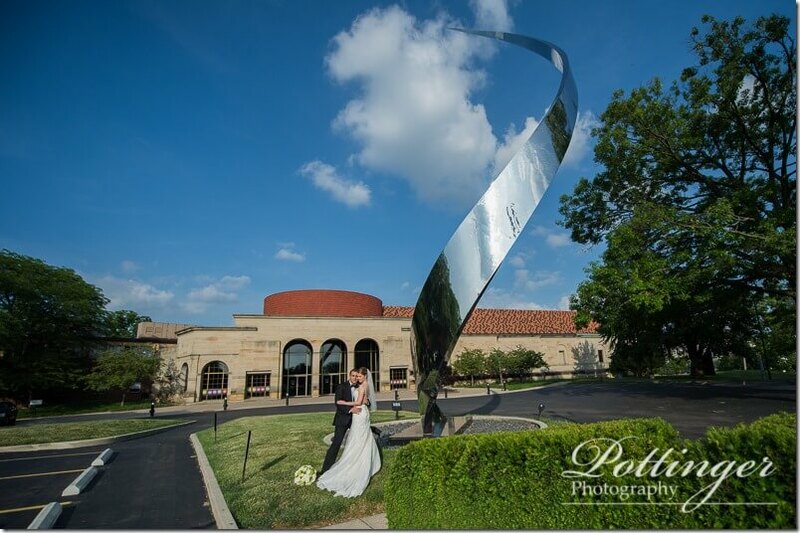 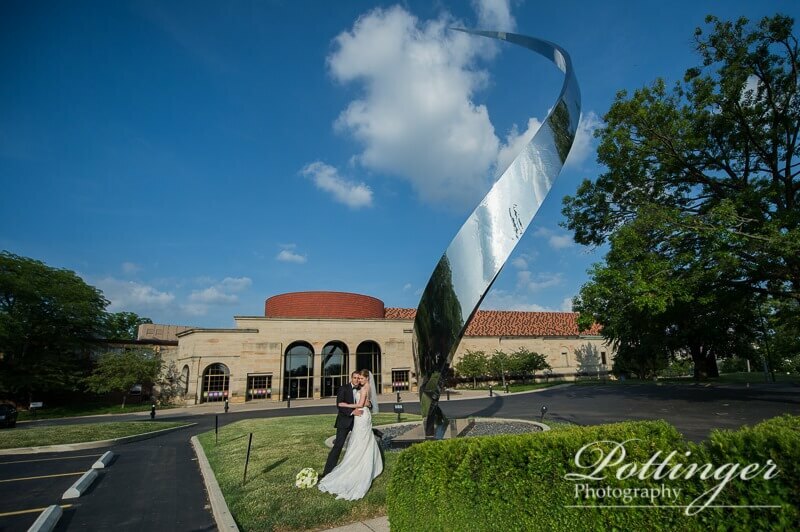 Seeing the Dayton Art Institute all setup for the wedding and reception was incredibly inspiring. 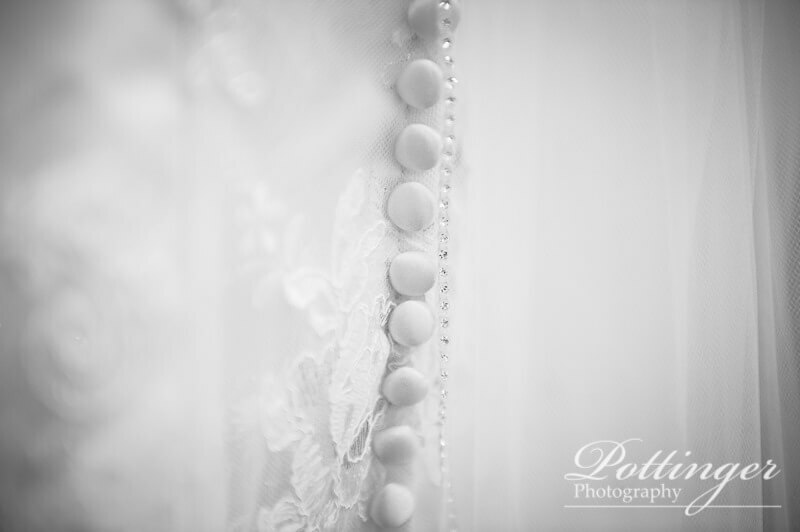 We started the day photographing some of the great details and then photographed the girls. 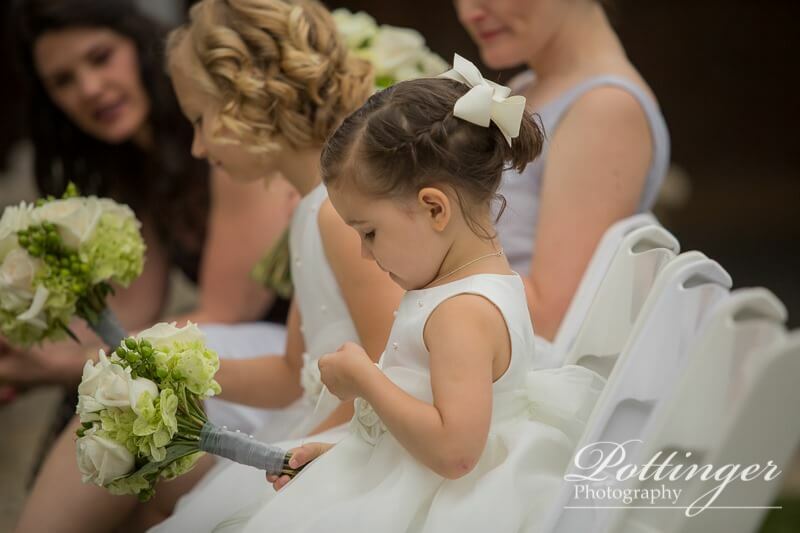 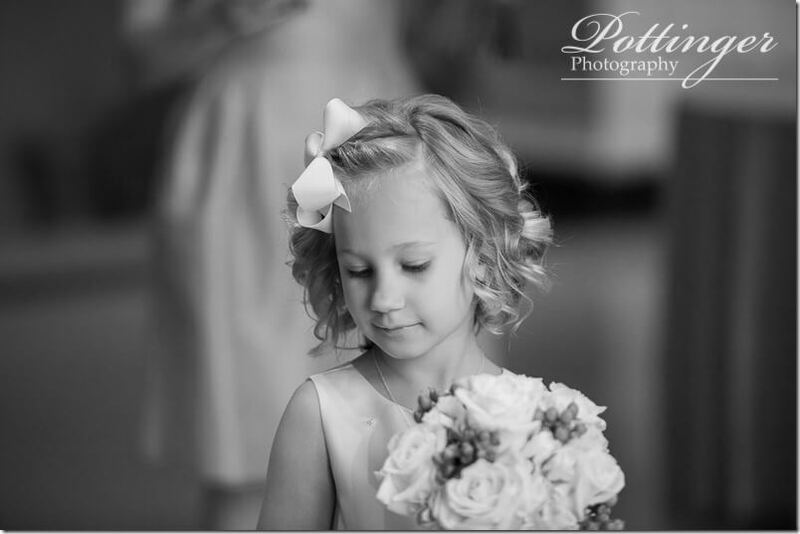 Aren’t the flower girls super cute? They are the bride’s nieces and loved being all dressed up. 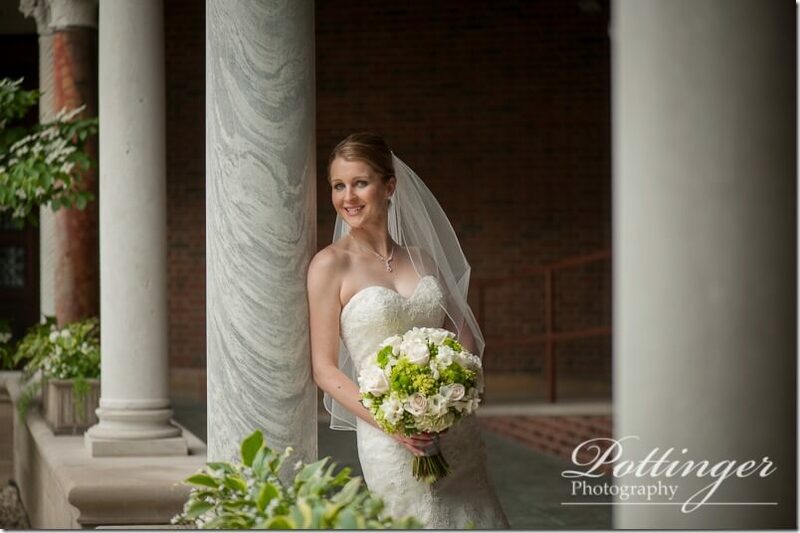 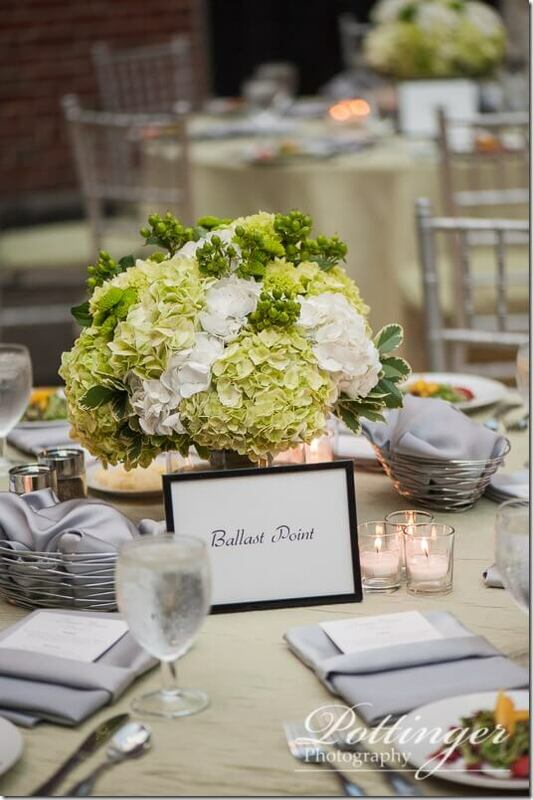 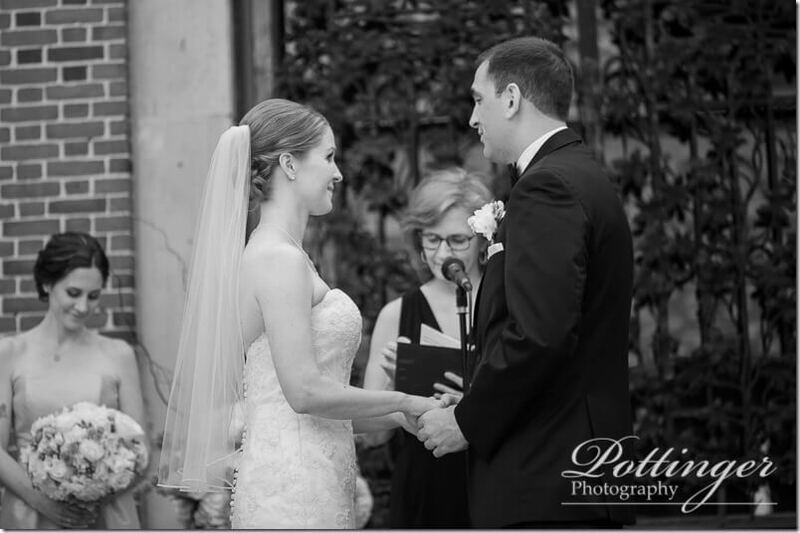 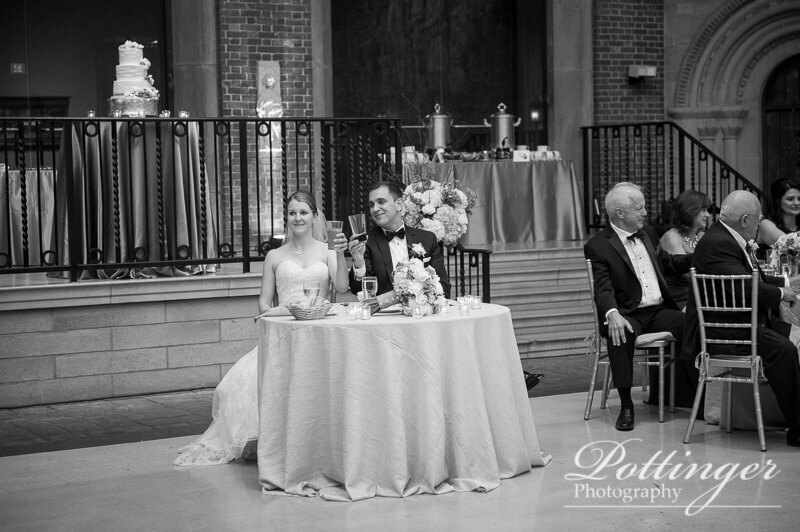 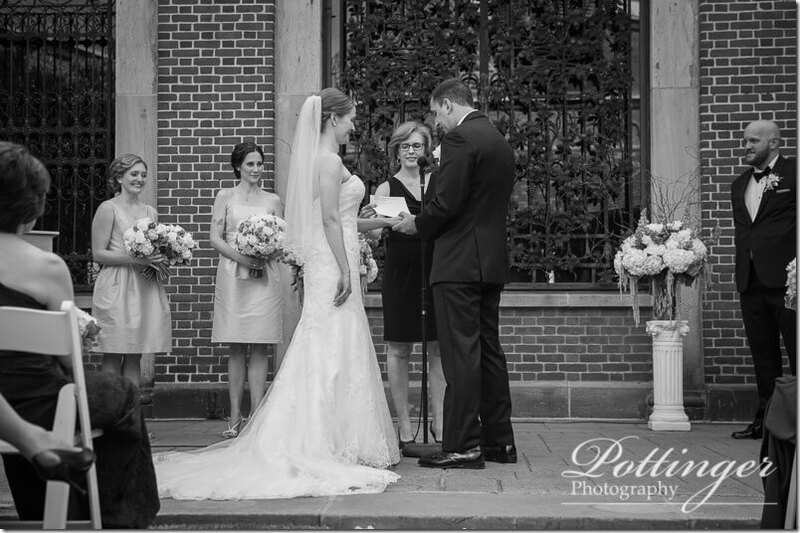 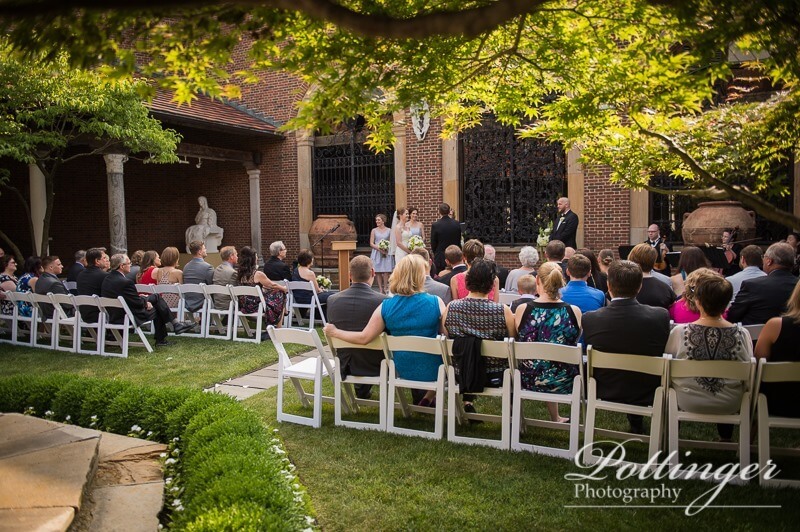 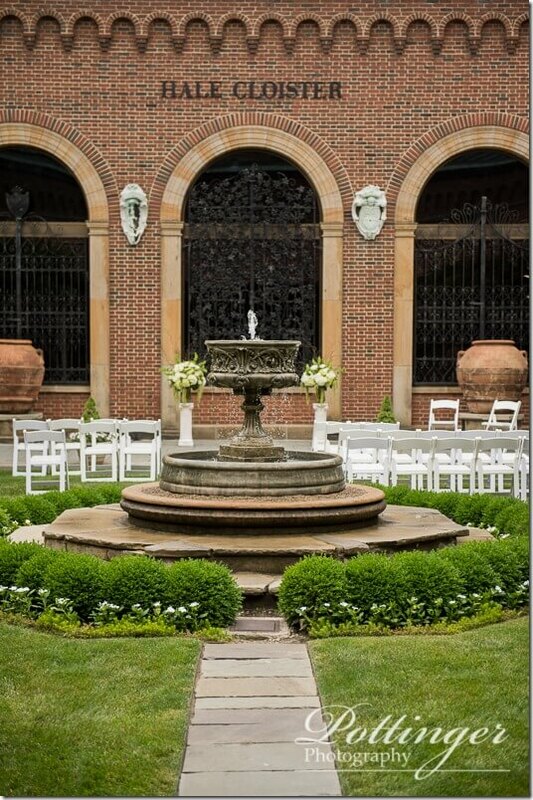 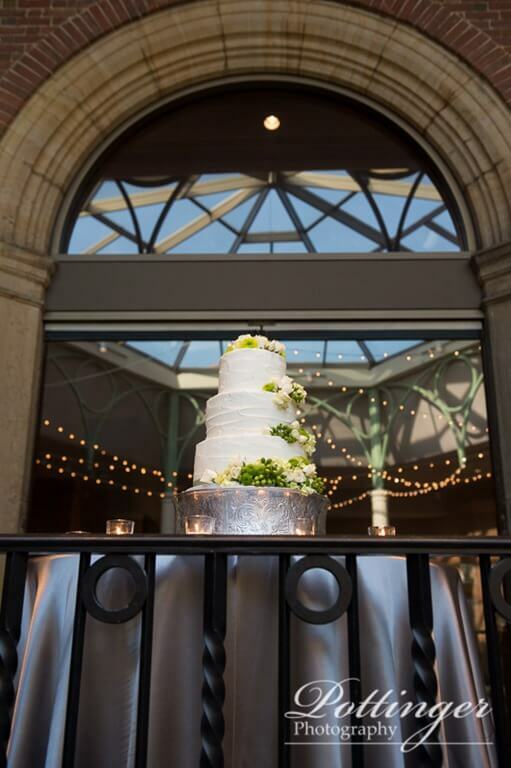 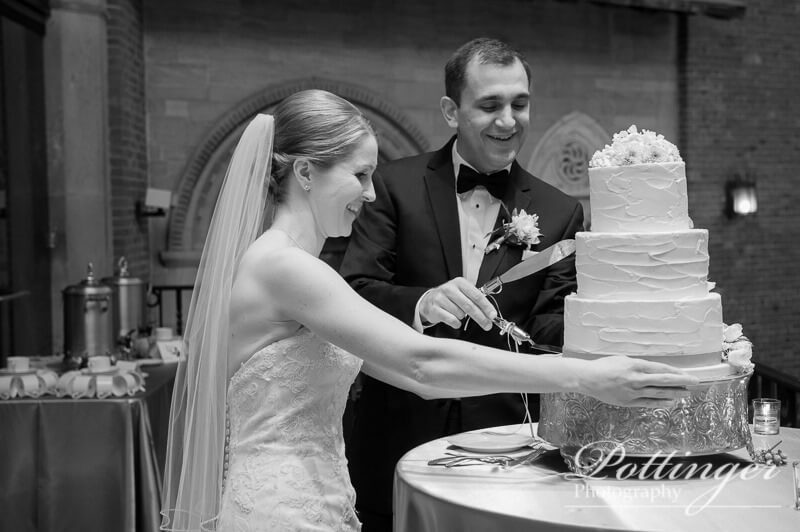 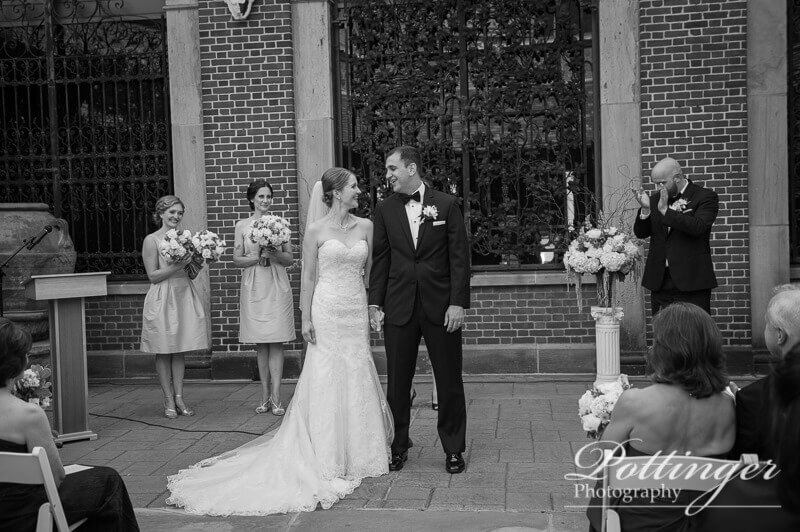 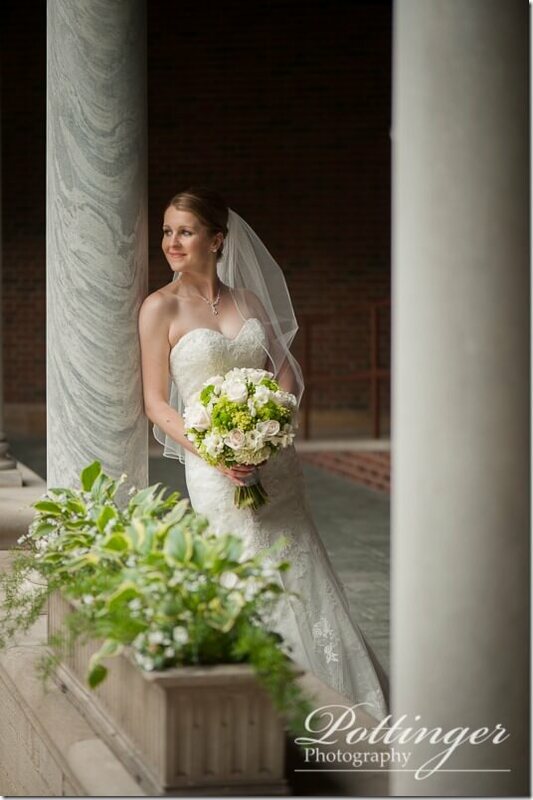 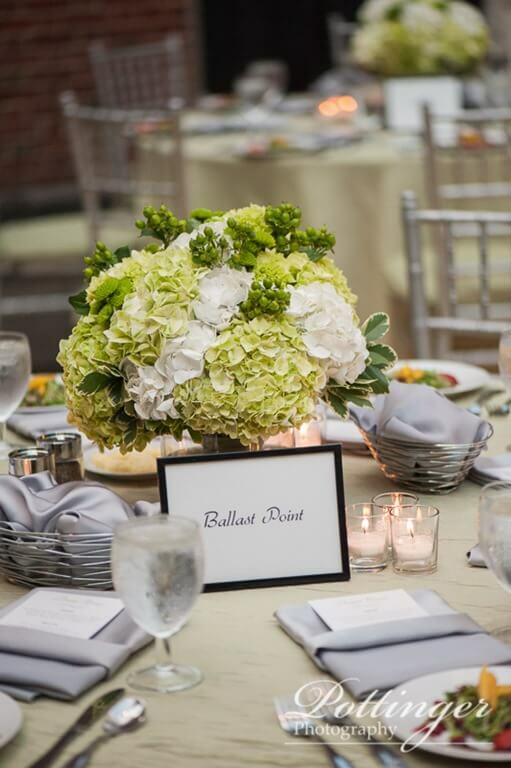 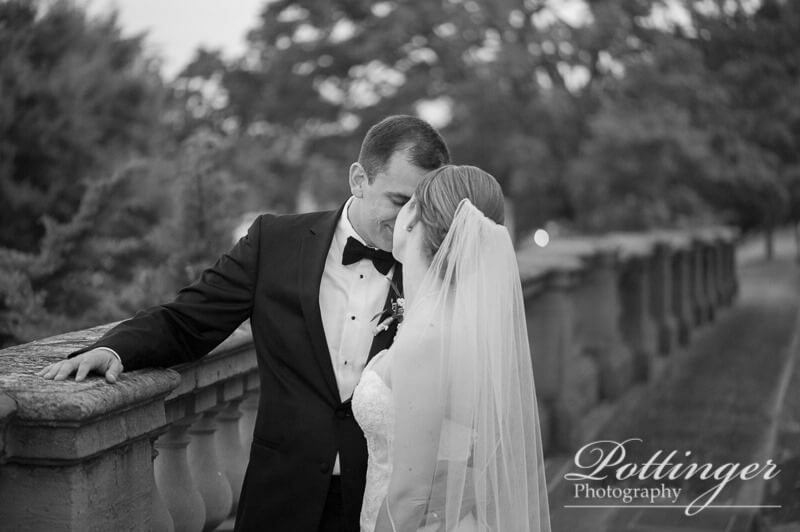 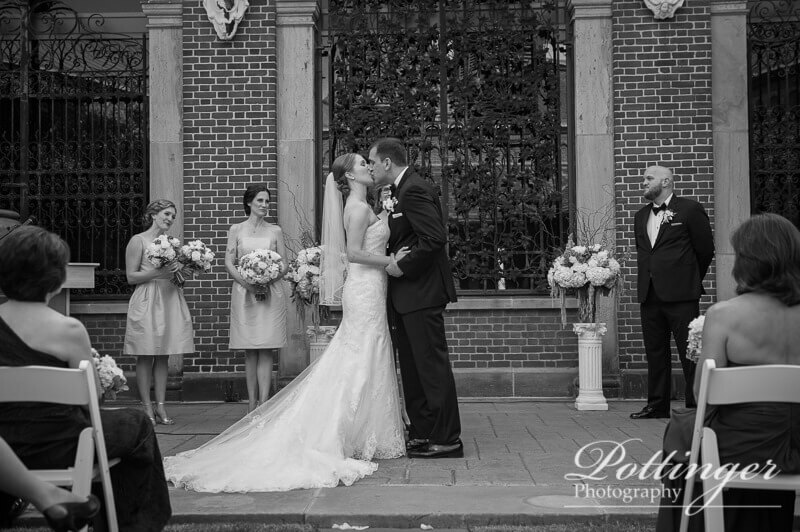 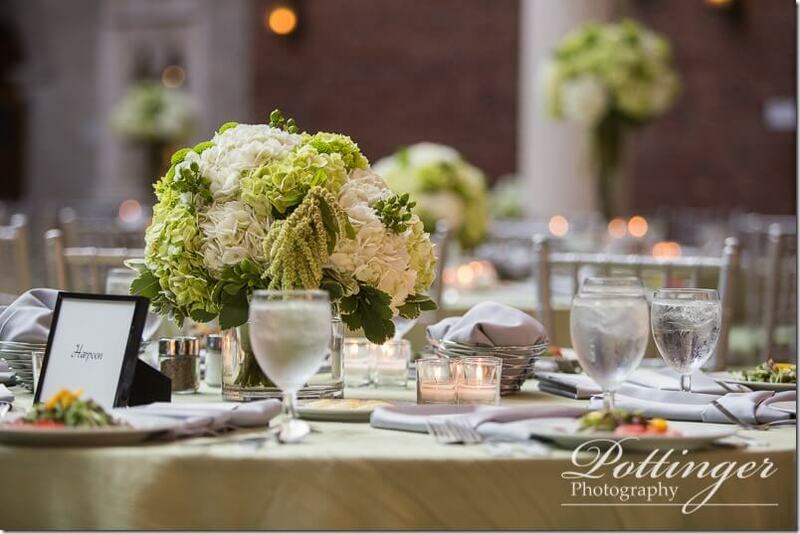 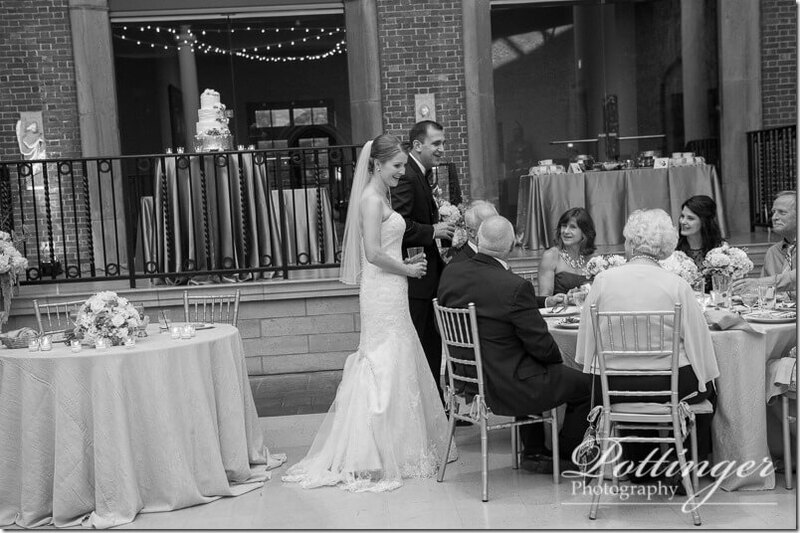 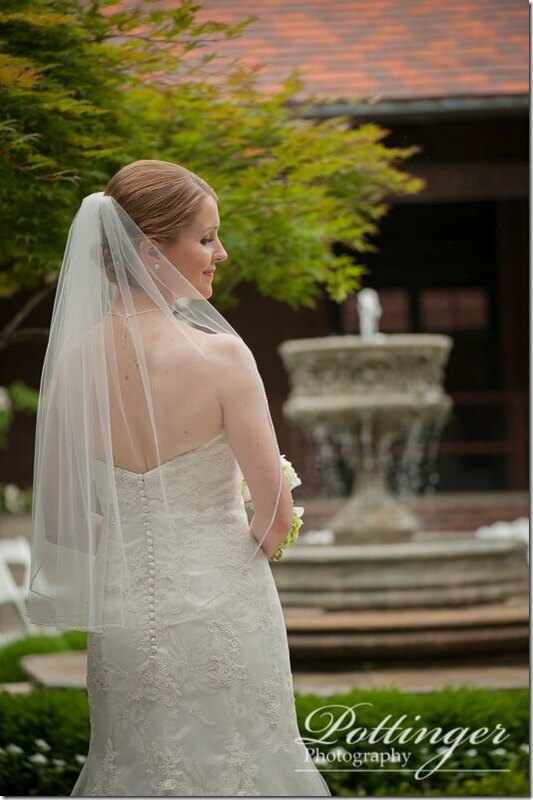 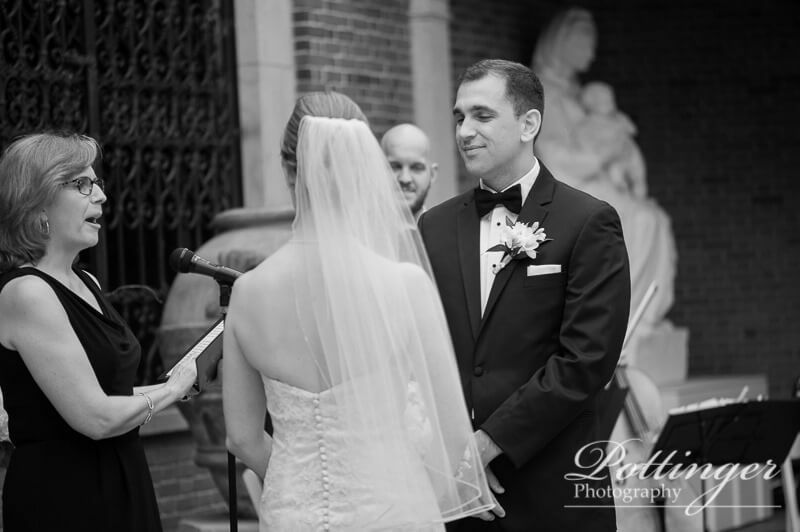 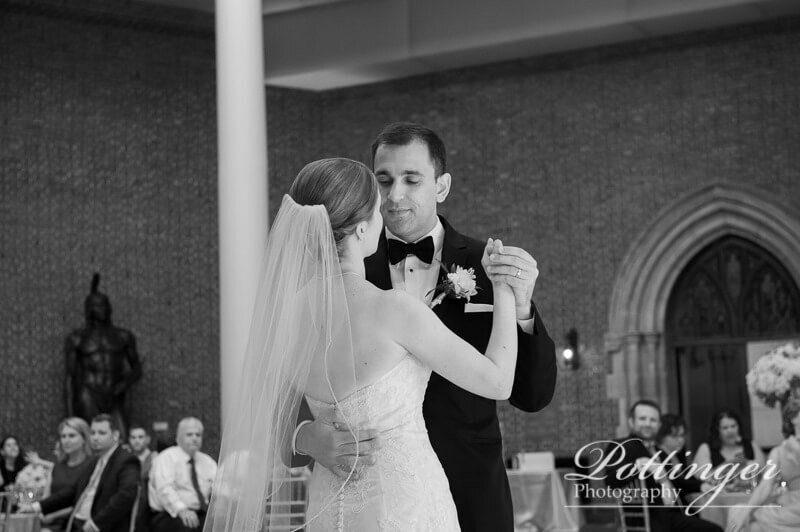 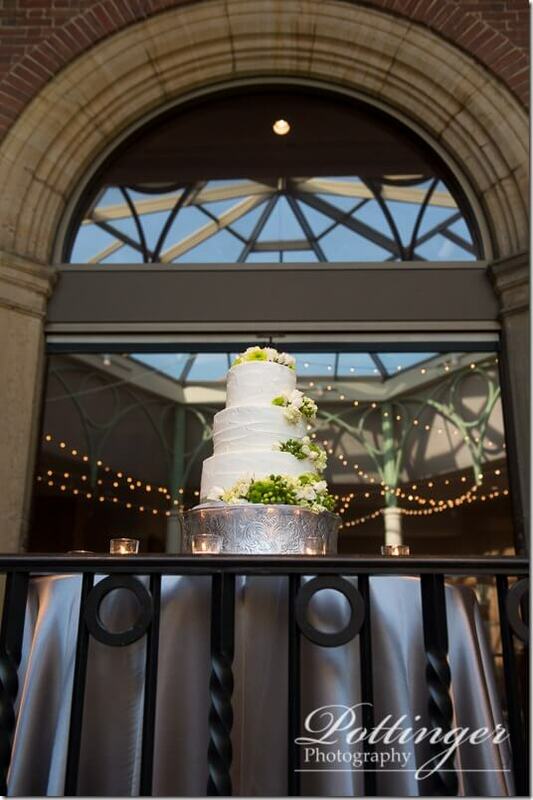 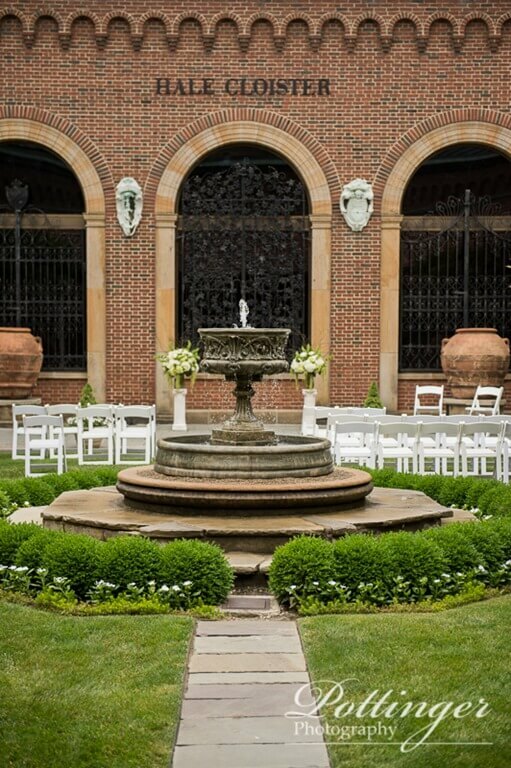 The ceremony was held in the Hale Cloister which is the perfect setting. 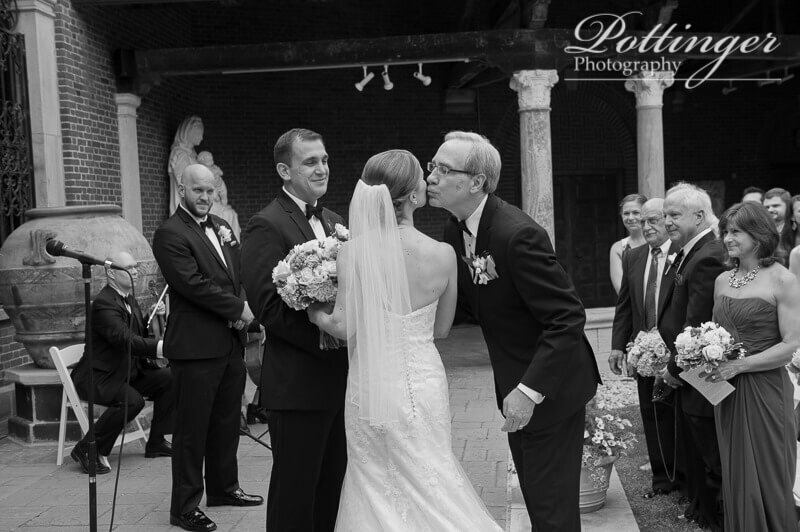 Seeing the big smiles on the couple after their first kiss was my favorite part of the ceremony. 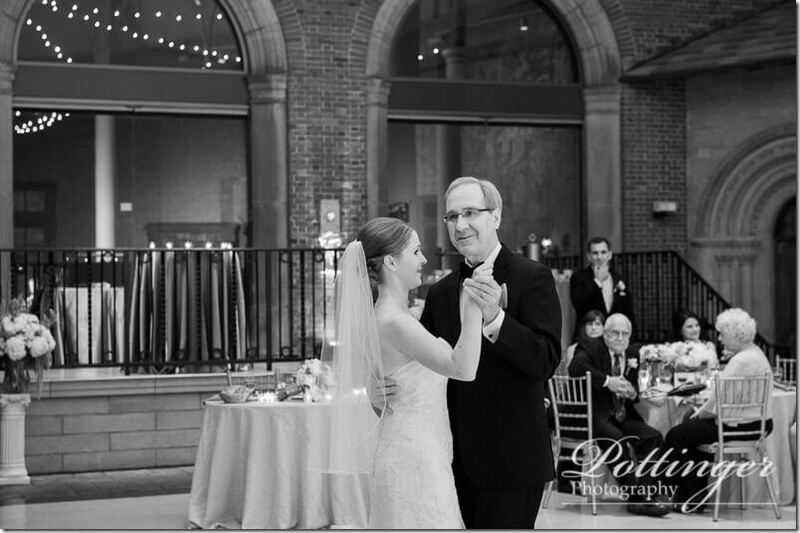 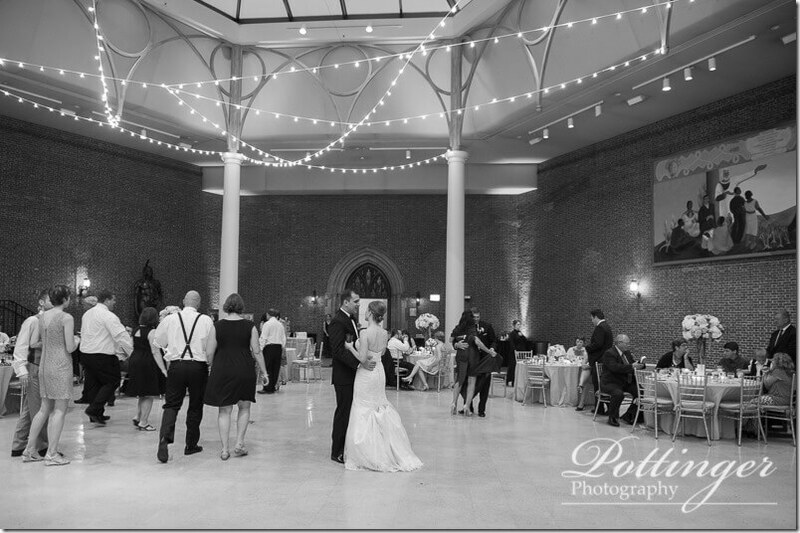 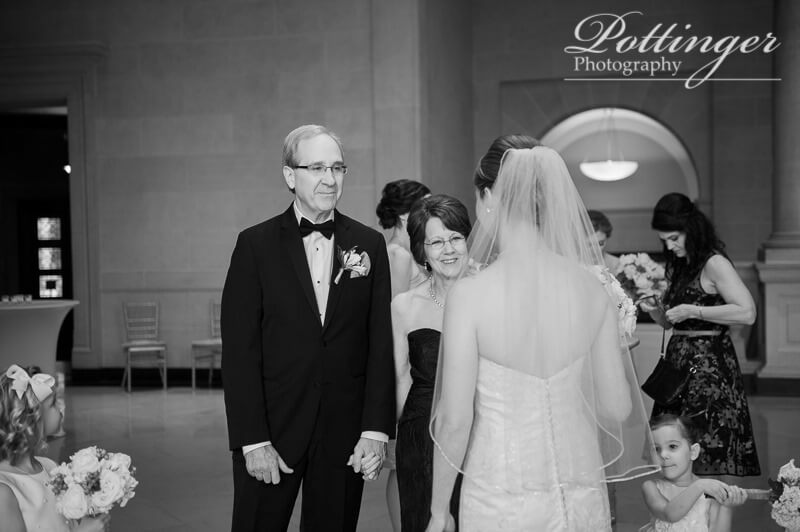 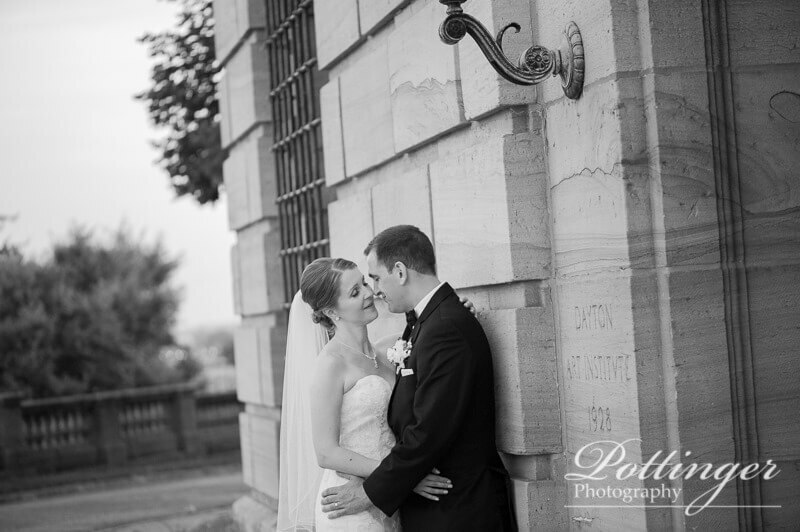 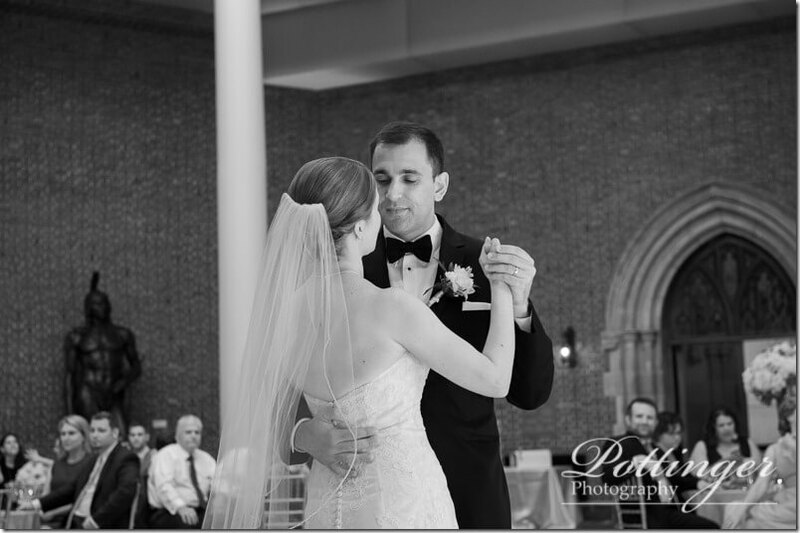 After a few family photos and photos with the couple we headed to their reception in the Shaw Gothic Cloister. 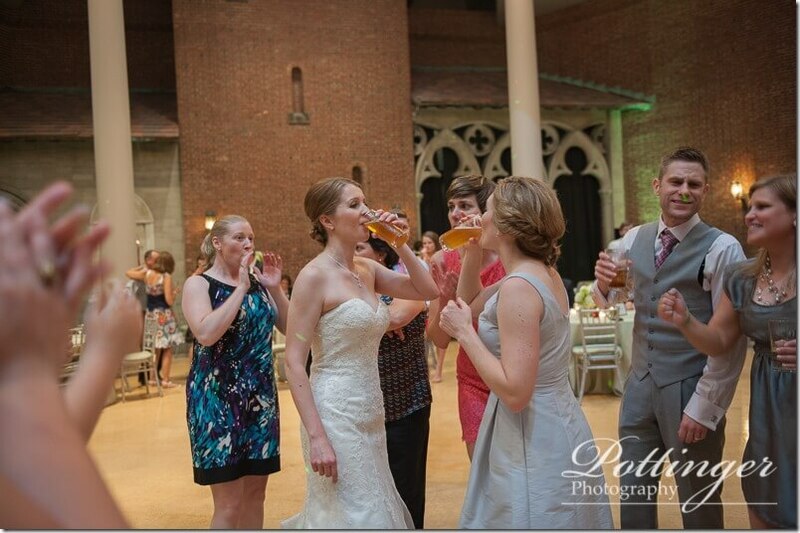 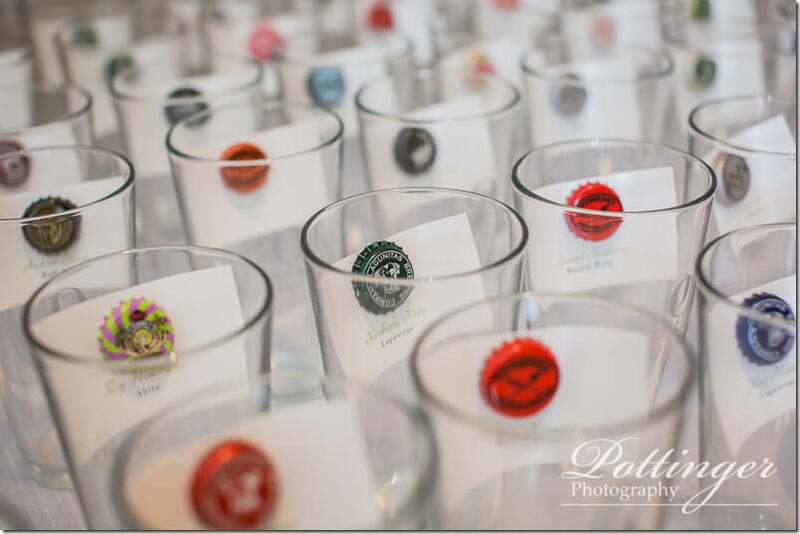 I loved that the couple had beer glasses for each guest. 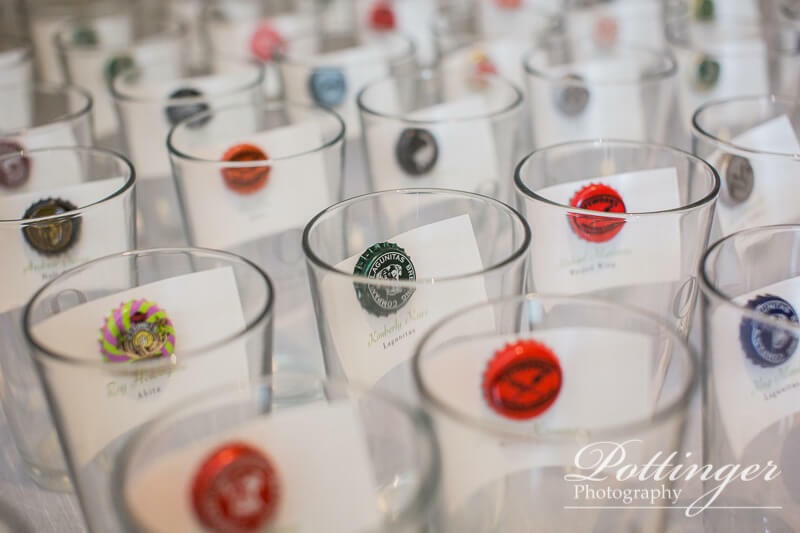 The found their seat by looking at the bottle caps. 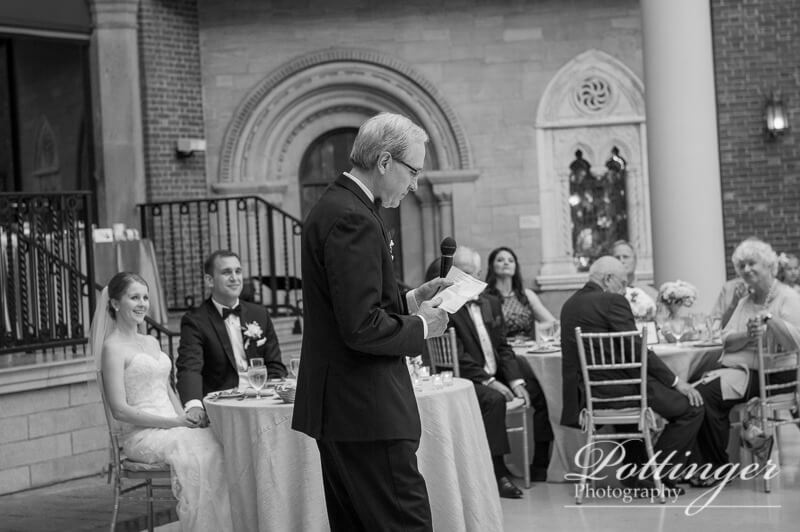 It was amazing to see that every single guest came to the wedding. That is a first time I have ever seen that and it means their guests really made an effort to be there for the celebration. My favorite part of the reception was the end of the night photos with the couple. 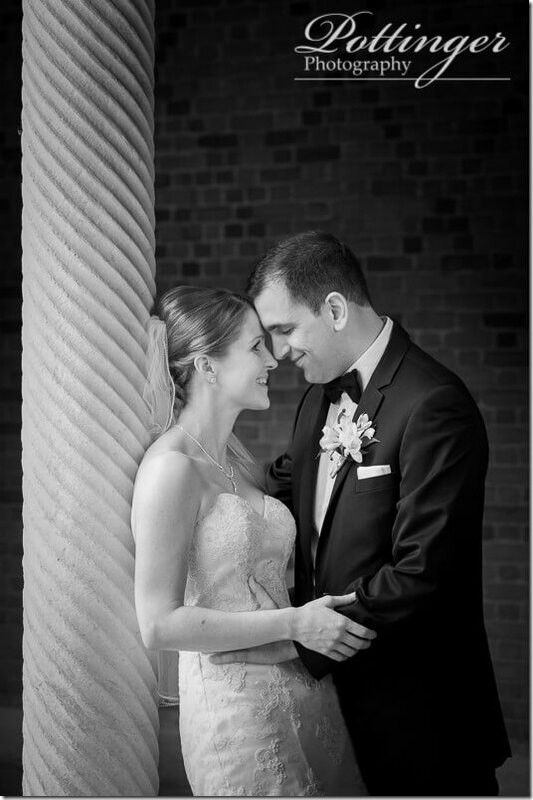 It was great to see them enjoy a few minutes of time together. 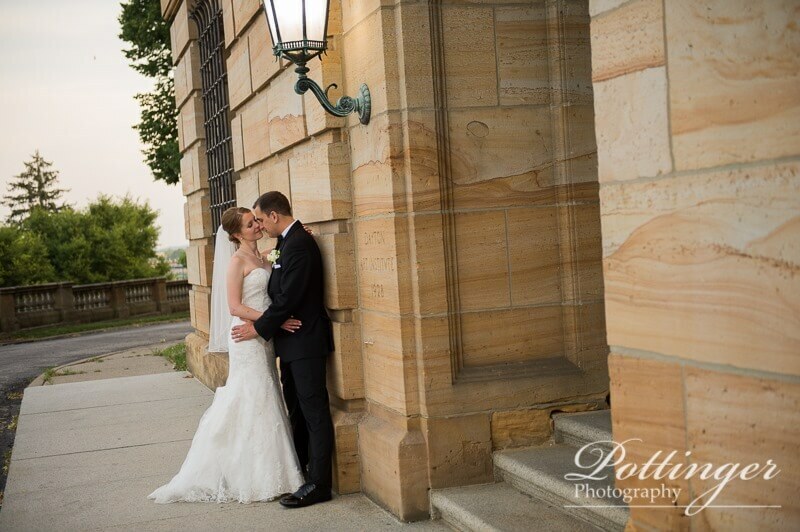 Congrats to Amanda and Eric – your wedding was wonderful and we wish you two all the very best! 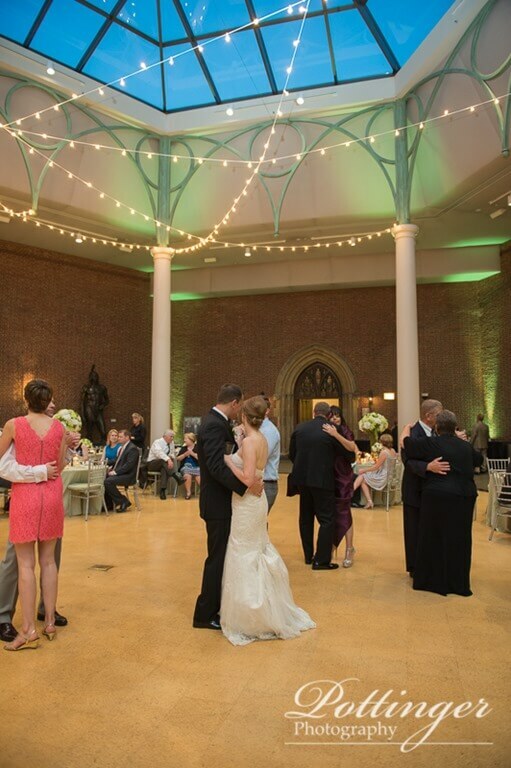 A big thank you to Your Dream Day and their amazing team for making the day run so smoothly!